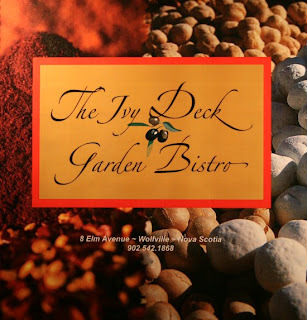 The Ivey Deck Bistro is a delicious bistro located right where I go to school in Wolfville, NS. It is such a quaint bistro, a perfect place for lunch or a light dinner. I went there this weekend and every time I go I constantly leave extremely content. My favourite menu item is the falafel with a side Greek salad but there is nothing on the menu that will disappoint. The falafel's are made by hand, and the bistro uses locally fresh ingredients (the feta cheese in the salad is so good!). Their sandwiches are named after Canadian Universities and the sweet potato fries are a must to start with. Check out their MENU. 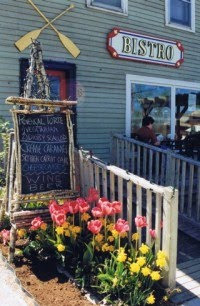 If you live in Wolfville get on over to the Bistro and if you don't - take a trip to the East Coast. The many culinary delights alone are worth the trip!